One of the hottest teams in the NBA ready to make a title run, led by Superman himself Dwight Howard! 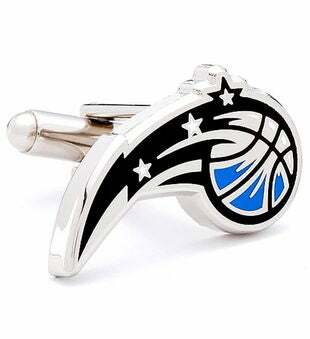 Sport the officially licensed Orlando Magic cufflinks with pride. Silver plated cufflinks by Cufflinks, Inc. Approximately 3/4" in diameter. Silver plated and enamel. Bullet back closure.